The How and the Why of Memory: available now! 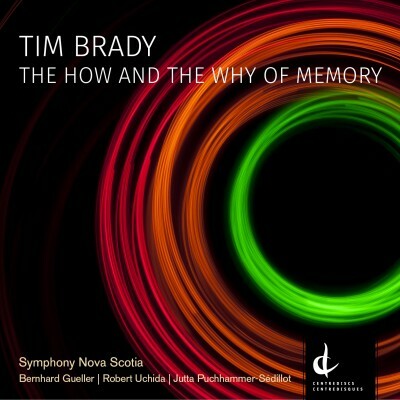 Halifax, NS – In collaboration with Centrediscs, Symphony Nova Scotia and Canadian composer Tim Brady are proud to release a brand-new record, The How and the Why of Memory. The How and the Why of Memory features three accessible, vibrant new symphonic works from Brady, performed live by Symphony Nova Scotia under the direction of Maestro Bernhard Gueller. The recording also features solo appearances from Canadian musicians Robert Uchida (violin) and Jutta Puchhammer-Sédillot (viola). The three new works were recorded live in concert at the Rebecca Cohn Auditorium from 2012 through 2015, as part of a four-year creative collaboration between Brady and Symphony Nova Scotia. “I’m ecstatic about this new record with Symphony Nova Scotia,” says Brady. “Tim Brady is one of the most interesting of Canadian composers, and I am very proud of this recording,” says Bernhard Gueller, Symphony Nova Scotia’s Music Director. REQUIEM 21.5: VIOLIN CONCERTO, featuring Robert Uchida, violin. Recorded April 2012.A dramatic and emotional three-movement violin concerto, with string orchestra. THE HOW AND THE WHY OF MEMORY: SYMPHONY #4. Recorded March 2014.A symphony featuring an accessible blend of jazz, rhythm, and melody, and exploring how we listen to, imagine, and remember music. VIOLA CONCERTO, featuring Jutta Puchhammer-Sédillot, viola. Recorded January 2015.A piece showcasing four aspects of the viola – its lyrical/melodic side, its virtuosity, its mysterious side, and its ability to really groove! Audio samples of the record are available here, and a video introducing the record is online here. The record is available for download beginning today, Tuesday, September 8, at symphonynovascotia.ca, Centrediscs, iTunes, and amazon.ca. The CD will also be available in person at Symphony Nova Scotia concerts at the Rebecca Cohn Auditorium. 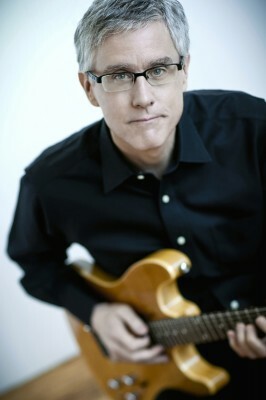 Based in Montreal, Tim Brady is a Canadian composer, electric guitarist, and producer who creates music in a wide range of genres, including orchestral music, chamber opera, contemporary dance scores, jazz, and free improvisation. Tim Brady’s next appearance in Halifax will be in support of the world premiere of his new opera, Ghost Tango. Presented in collaboration with Vocalypse, Ghost Tango is a riveting new chamber opera that tells the poignant story of a Canadian woman trapped in Argentina’s Dirty War. Ghost Tango will be performed from September 16-19 at the Sir James Dunn Theatre, Dalhousie Arts Centre, Halifax. Tickets are $25 each, and are available at the Dalhousie Arts Centre Box Office (6101 University Avenue), 902.494.3820, or www.artscentre.dal.ca.